Stone Colours | MG Granite Ltd.
Composite stones are a mixture of materials which are comprised of natural stone, acrylic resin with added pigments and sometimes even mirror chips. These types of surfaces are stain resistant, hard wearing and uniform in colour. We manufacture, supply and install premium quality composite stone worktops , vanity tops, bath surrounds and stair cases. 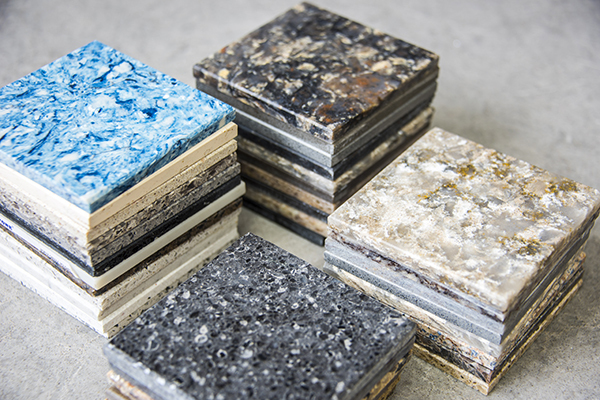 Call us today – or fill out an enquiry form – to discuss bespoke composite worktop solutions. We are able to supply all the major brands of Quartz available in the United Kingdom, please click any of the links below and you will be taken direct to the suppliers web site, where you can see all the latest colours and finishes available.